The pleasures of the backcountry travel are solitude, self-reliance, and the kind of deep woods creativity that we as a species used to engage in almost every day of our lives. I love getting off the grid to experience the magic of transformation, both in myself and my campmates. The following items from a variety of manufacturers will make your time in the backcountry safer, more efficient, and ultimately more satisfying. If you live in a part of the country without major bug problems, good for you. If you don’t, you better have a system for staying unbitten in the outback. During my most recent Ontario expedition we deployed ThermaCell technology and enjoyed evenings that were significantly less buggy than they had a right to be. 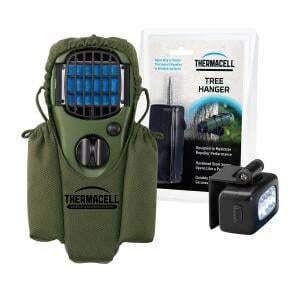 If you’re not familiar with Thermacell, it’s basically a light-weight, butane-based Citronella candle without the flame, and it comes in a variety of dispersal systems. Like a candle, it’s less effective on windy days, but if the wind is strong enough to blow your plume away, it’s usually strong enough to blow the bugs away, too. It was only a matter of time before someone came along and tried to shake up the dehydrated food market with something of culinary quality, and that day has come. 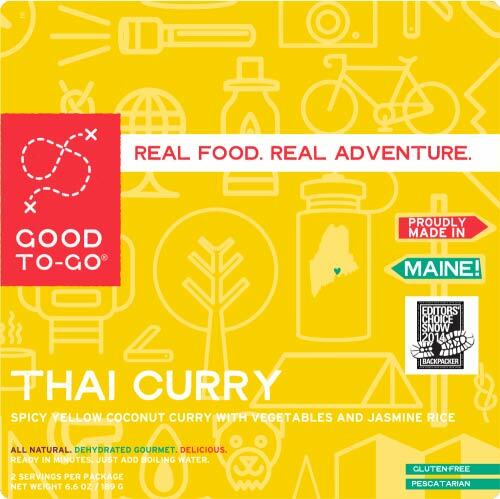 For non-fish meals, and to complement our lake trout shore lunches, we experimented with a few meals from Good To-Go, a relative newcomer to the camp food scene. True to touting, the meals definitely represented a significant advancement in flavor, not to mention the fact that you’ll find no artificial ingredients in the mix. The Thai Curry in particular we considered restaurant-quality, and the Smoked Three Bean Chili was also a serious winner. One thing to note: the on-the-package instructions emphasize that you want your water not just hot but boiling hot when it’s poured into the pouch. We want to re-emphasize that here. We cut corners once or twice and were left with some particularly chewy tidbits. That said, if you are patient both with your stove as well as your steep, you’ll be fork deep in food that more resembles cuisine than fuel. Now will someone please invent powdered Malbec. 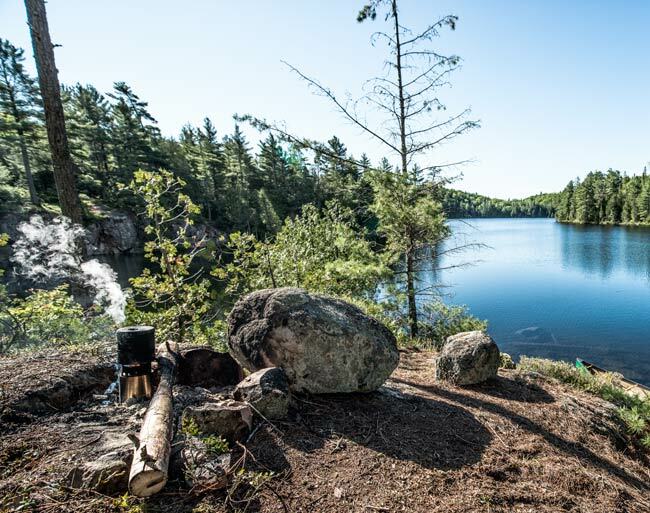 I treat backcountry trips as opportunities to hone and develop bushcraft skills, carving cooking tools and platforms, perfecting my tarpsmanship, and challenging myself to build fires in inhospitable circumstances. On this latter note, I’ve completely phased out petroleum-based fuels when camping, which means working with simple woodstoves and getting inventive with kindling and small batonets on rainy days. And this year I definitely had to get inventive, since it rained non-stop for about three days to kick off the trip. Happily, I had the Fallkniven TK2, which gave me great control over rendering the feathersticks and small batonets that fed my woodstove on rainy afternoons. If you haven’t tried it, few things feel quite as empowering as the ability to create fire when the world seems lost to rain. 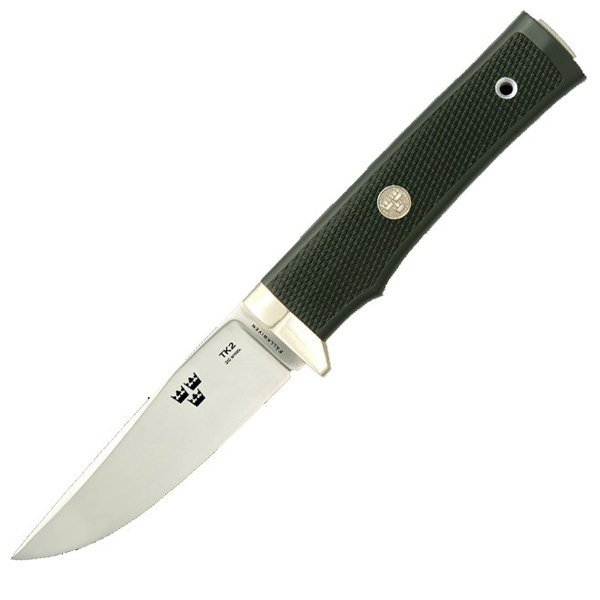 At 4 inches long with a convex grind and laminated blade edged in sintered steel, the TK2 is a workhorse not only for light woodwork but all the diversified work a camp knife needs to accomplish, from rendering fish to cutting potatoes to slicing everything from para cord to anchor rope in a flash. The Thermorun handle is easy to keep hygenic and clean so you can simply focus on food prep. All in all, the TK2 as hardy and well balanced a utility knife as you will come across on this planet and will see you through as many seasons as you’ve got waiting in you. I touched on GRAYL’s water filtration system in last year’s gear write-up, and am including it once again since they now offer an ultra-light cup that is now more carabiner-friendly the previous models. I’m a huge fan of these simple water filtration systems and keep one in my backpack, on my bike and in my car. Basically with the GRAYL what you get is a French press style filter—the difference being you’ll be quaffing not coffee but the river or lake of your choosing. The Ultralight Purifier Bottle comes equipped with a powerful Purifier Cartridge that removes bacteria, protozoa and virus, plus silt, chemicals and heavy metals. While it may seem like just water, feeling confident in your ability to find drinkable water just about anywhere is actually pretty empowering, not to mention that fact that there’s something neat about drinking straight from your favorite brook trout stream. 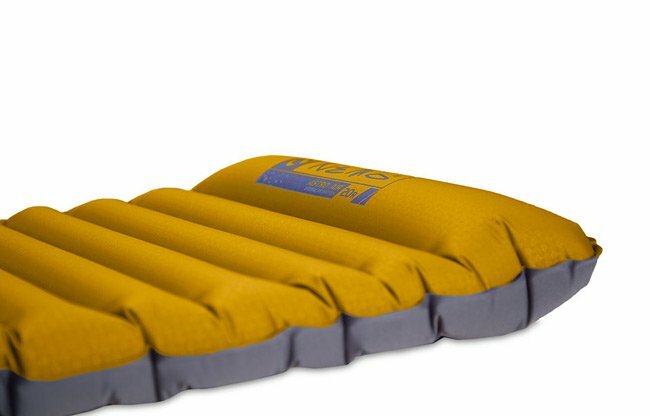 The mountaineering brand NEMO has been putting out brilliantly engineered products for a few years now, and their sleeping pads are just as smartly engineered as their tents. The first thing I noticed about their tents were how easy they are to put together, and the first thing I noticed about the Astro Insulated Lite 25L pad was how efficient it made the filling process. Gone are the days of fighting against accidental spillage during inflation. A quick quarter of the nozzle seals the deal more easily and suddenly than you think it would. As for comfort, the pad had it in spades, especially with the raised headrest area that functions as a subtle pillow. In addition to being comfortable, this pad holds up to some serious weight. It had to work extra hard since the “other pad” crapped out on the very first night, leaving it’s owner (me) to survive the nights by cramming sphagnum moss under the tent every evening. Lastly, the Astro’s interior incorporates a bit of PrimaLoft for a measure of insulation that will be welcome on cooler nights. Like everything I’ve tried so far from NEMO, this pad is easy, intuitive, rugged and comfortable. For the combined rigors of the backcountry, with its wet wading, portaging, hiking and general camp life, KUHL’s pants provide some of the most value, durability and utility for the money. I tried several models and came away with two winning pairs. 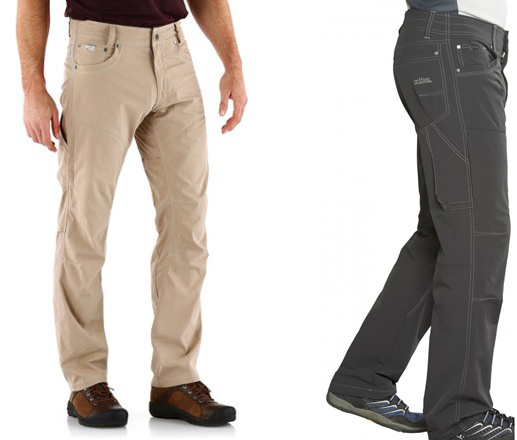 If you have to bring one pair and one pair only, you need a pair of work pants, and the KONFIDANT AIR is just that. They are sturdy enough to hold up in grabby brush, don’t stretch when wet, and dry quickly. If you have room for two pairs of pants, keep the AIR as your daytime work pant and the RENEGADE as evening wear for when the hard work is done. The nice thing about having two pairs of technical pants with (nearly) identical pocket orientations is that it’s easy to quickly duplicate the layout of your tools, since your pants are basically a tool rack. The RENEGADES are cut a bit fuller and are made of slightly stretchy material—great for fireside squats. And if getting to camp requires extended car or plane travel at any part of the journey, the RENEGADE makes travel about as comfortable as it can get. More often than not my back country trips are canoe trips, and this year I brought both a sneaker-like wet wading boot and a pair of Chacos Z/2 Pros along with me. After a day of vetting, I felt the Chacos were a better canoe option for two reasons. Firstly, the footbed was superior to my wading boots, and I wanted arch support when carrying 50-60 lb loads. Secondly, with the Chacos being less clunky, my paddling positions were not hampered when I wanted to drop to my knees and tuck my feet when canoe stability became an issue. The toe strap improved traction and stability when carrying loads downhill. As for traction itself, I found it to be as good as any unstudded, non-cramponed wading boot I’ve used. That said, this is definitely your daytime work shoe. Once the rigors of the day are over, a second pair of something light and loose (like oversized Crocs) over a pair of dry wool socks is perfect for sitting around the campfire. Thule has evolved from developing things to strap to your car to designing things that attach to your back. On this most recent trip we freighted the Thule Versant 70 liter with everything from clothes to tent to cutting and cooking gear. It did the main thing a framed pack is supposed to do: make a large amount of freight feel light and well-balanced. And it’s system of straps and pockets gives the creative packer plenty of options for the deliberate packing and staging of gear. One notable feature is the modular hip belt, which gives you plenty of options for keeping essential things close at hand without having to remove the pack, be that a mid-trail snack or your GPS (though I’d actually like to see on both sides instead of just one). One additional useful feature we found was the detachable top flap. It held a week’s worth of dehydrated dinners for two, which we were able to detach at night and store a bit further away from the tent, since bears like salty, savory freeze-dried grub as much as we do. 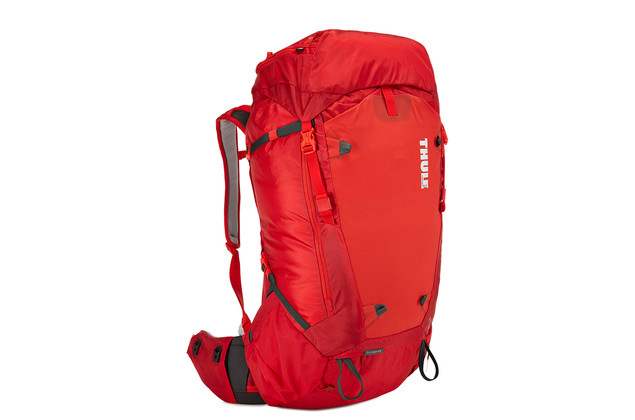 One final note: though the pack comes equipped with a rain fly, I almost always opt for getting rid of it and simply inserting a contractor bag into the main chamber for keeping dry clothes, sleeping bags and other valuables. It won’t take up much room, and it will keep all your gear dry even if the pack soaks at the bottom of a wet driftboat or a canoe. I always bring a dependable GPS on back country trips for peace of mind, and that peace of mind doubles when you have a dependable way to recharge the unit several times over during the course of the week. For those who take photos or videos with phones, the myCharger All Terrain Series handles both phones and tablets with equally facility, and it’s two ports means you can charge two units at the same time. The best part is that the unit is water-, drop- and dust-resistant, so you don’t need to coddle it inside a Ziploc bag. 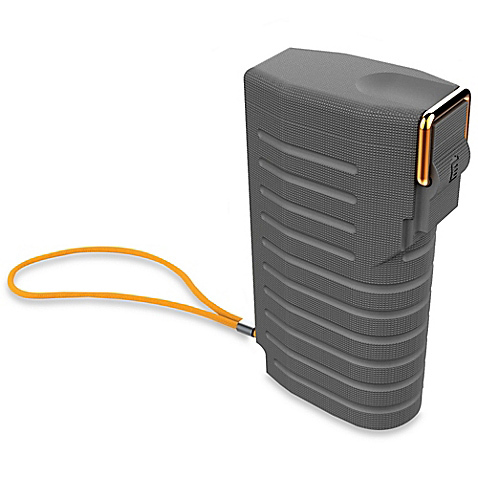 This is a tool that works great back at home as well—carry one with you when you’re out and about and you’ll have energy to spare when a mental lapse leaves you without battery power. Sometimes when I’m out on assignment I wish I could just focus on words and leave the camera at home—after all, it’s 50 times easier to carry a notebook than a full-frame camera and trio of lenses. Then I get home, see the images, and know it was all worth it. 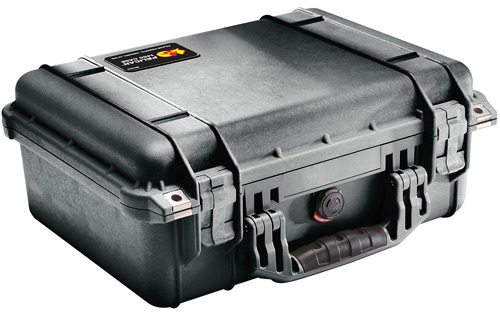 If you’re like me and like to bring your camera kit into the back country, there’s no beating a Pelican case for keeping delicate equipment safe from bumps, drops and water. While the size of your case will depend on the size of your kit, let me tell you that you can really fit a lot of equipment into a small space if you get creative with your packing. My first recommendation is to go with the standard foam inserts instead of the padded dividers. Tear out everything but the edge foam. Now surround yourself with all the electronics you’d like to pack, along with all of your smaller miscellaneous clothing (we’re talking socks, gaiters, undergarments, t-shirts, that sort of thing). Use that clothing to wrap, protect and subdivide your equipment; just make sure you pack everything in fairly tight. It may not look pretty, and you’ll have to swap out clean socks for dirty socks when you’re packing out, but when space is ultra-tight you need to be as efficient as possible. Using this method I’m easily able to fit a full frame camera and three lenses, including a 70-200mm f/4, into a Pelican 1450.